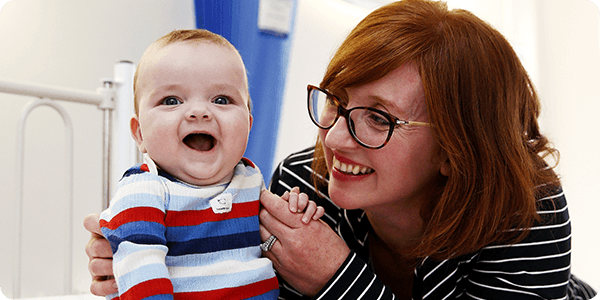 The stories of the Hospital's brave young patients inspire us, and we hope they inspire you too. Matilda was inspired by the way the Hospital cared for her brother Caden and wanted to help make a difference. 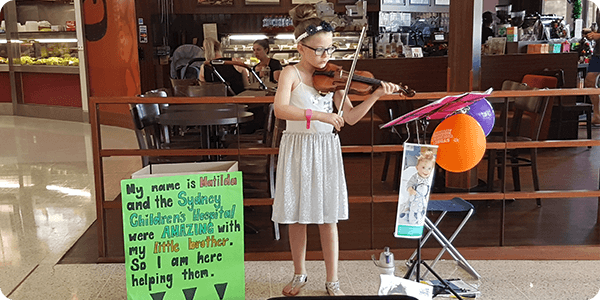 She plays the violin and decided to use her talents to perform in her local shopping centre and Bunnings store in exchange for donations. She wowed the crowds for six days straight and raised an amazing $1,621! Patients from all over NSW (and beyond) visit our Hospital with the added pressure of having to travel long distances and be away from home. Finding accommodation can be a struggle for these families. Although there are amazing services both in and out of the Hospital that provide accommodation, they can sometimes be fully booked. Thankfully, one of the Foundation’s corporate supporters is here to help regional families in their time of need. 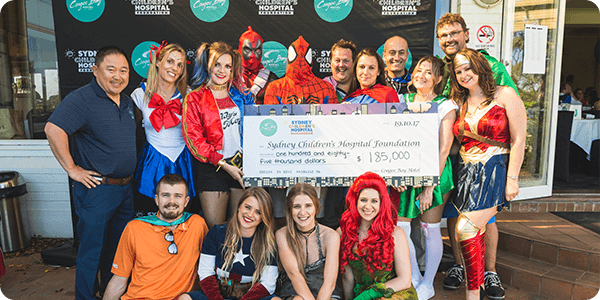 Coogee Bay Hotel have not only raised over $2.5 million for the Hospital to date, they provide free hotel rooms to families with children at the Hospital each year. 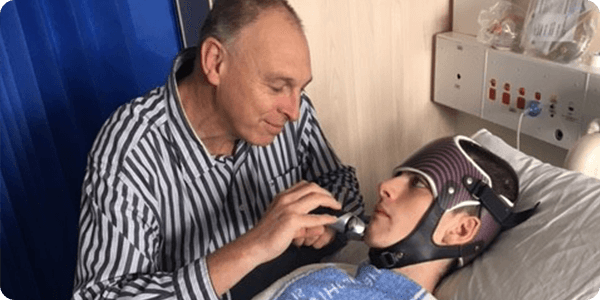 When Nick goes through his chemo he ‘hibernates’ – sleeps, can’t eat and just waits for his body to come good – this can be days. 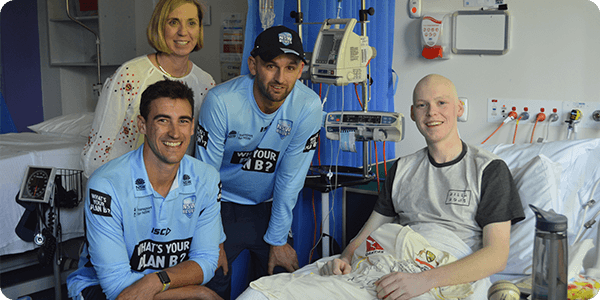 However, when Mitchell Stark and Nathan Lyon from Cricket NSW turned up he was beaming from ear to ear and for an hour or so, forgot about how lousy he had been feeling and smiled, chatted to his heroes and became Nick the cricket fan, not Nick the patient. T’was the season to be jolly in December as the community came together to bring some festive fun into the Hospital. 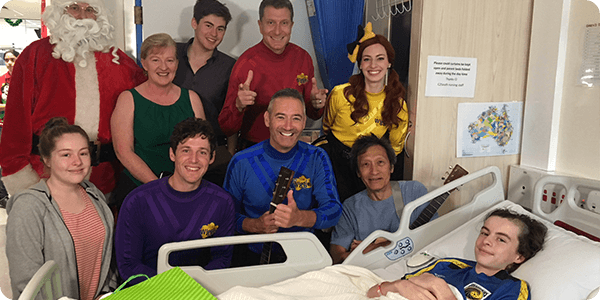 From The Hospital's Music Therapist leading crowds in a chorus of carols, to the Wiggles dropping in for a special visit, Christmas at the Hospital was filled with festive cheer.